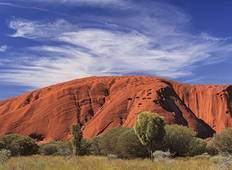 5 Day Package "Cairns to Ayers Rock (Uluru)"
3 Day Uluru ROCK PICK UP "Ayers Rock (Uluru) to Alice Springs"
"Great experience. Sleeping under the stars in a swag and cooking dinner on the campfire...."
"Good fun outback holiday, sleeping under the stars in a swag, never seen so many..."
"Great trip & Suzie our guide was excellent, caring & very approachable. 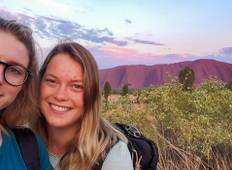 She was let..."
"As an Australian I can't believe I have waited so long to see the Red Centre. Uluru..."
"Debora, our well travelled, Italian born tour guide, did a great job of making all..."